Winnipeg is one of Canada’s underappreciated gems, a cosmopolitan oasis in the heart of the continent. 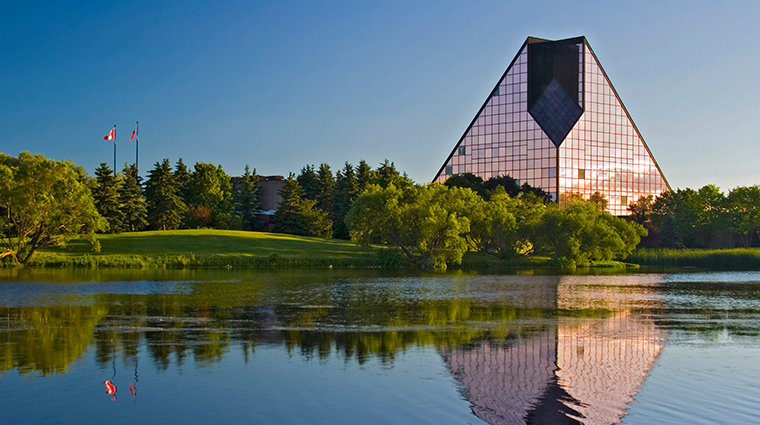 Located at the confluence of the Assiniboine and Red Rivers, Manitoba’s largest and capital city wins over visitors with its charm, hospitality, and its determination; don’t let this city’s reputation for extreme climate frighten you. Though agriculture may be its prime industry, Winnipeg is undeniably the cultural hub of the prairies. Home to a passionate arts community; come see for yourself why Winnipeg’s renowned for its theater, live music, and festivals, not to mention its world famous Royal Winnipeg Ballet. Not into the arts? Winnipeg has some of the most passionate sports fans in all of Canada, whether it’s AA baseball, CFL football, or NHL hockey. Though very much a modern city, Winnipeg has a deep history rooted in the Hudson Bay fur trade and Métis history. As well, the indigenous nations of Manitoba — the Cree, the Assiniboine, the Ojibway, to name but a few — have been using Winnipeg’s waterways for thousands of years and all form a part of its contemporary identity. Winnipeg consists of a collection of distinct districts, each with their own unique identity. From the historic francophone community of Saint Boniface and the hip and happening heritage Exchange District, to the artsy bohemian enclaves of Osborne Village and Corydon Avenue, Winnipeg has a scene for everyone. For the architecture buffs, the Fort Garry Hotel, the Manitoba Legislative Building, and the brand new Canadian Museum for Human Rights are just some of the architectural marvels Winnipeg has to offer. Foodies will appreciate Winnipeg’s diversity of cuisine, from ethnic hole-in-the-walls and nostalgic diners, to gourmet farm-to-table gastronomy. Winnipeg’s immigration patterns have certainly influenced its culinary offerings, and this is a wonderful thing. It becomes evident that the more time you spend in Winnipeg, the more its uniqueness reveals itself. The city appears to have more in common with Chicago or Montreal than with its Western Canadian peers, yet it is distinctly anchored in the Canadian prairie spirit. Either way, once you get a taste of Winnipeg’s charms, you’ll only want to discover more.